It is more important than ever for you to protect your company against cyber-attacks. According to a recent government survey, cyber-crime costs UK businesses a reported £27 billion a year. Each individual breach can cost large businesses as much as £1.15 million on average. A huge stigma exists around cyber fraud due to the damage it can have to a company’s reputation. This has meant that as much as 85% of fraud and cyber-crime goes unreported. Demand for cyber security skills is going up as businesses are increasingly recognising the need to protect their assets. To meet this demand, we’ve seen a series of new cyber security courses launched in 2015. There have been new courses from established security vendors as well as existing vendors entering the market for the first time. Earning a high level Cyber security certification can net you a career earning as much as £82,500, according to ITJobsWatch. The release of these new certifications will help you develop the skills you need to protect your business from a cyber-attack. RESILIA™ is a methodology for cyber resilience. It employs best practice techniques and standards that you or your business can apply. In short it helps you be ‘resilient’ against attacks through being able to detect, respond to and recover from cyber-attacks. AXELOS has developed a course aligned to RESILIA allowing you develop the skills required to implement the methodology. Completing the course and achieving the qualification allows you to make he most of RESILIA whilst demonstrating you have the skills to do so. RESILIA is AXELOS’ first cyber security certification. Employing certified people that can react and act on cyber-attacks is critical for maintaining the integrity of your business. RESILIA ensures this by keeping your reputation intact, customers loyal and operations up and running. With Firebrand's 5 day accelerated RESILIA course, you can certify in just 5 days. Cloud is currently one of the fastest growing technologies, with 4 in 5 UK businesses using cloud services. When discussing cloud, security continues to be a primary concern for businesses. Without having access to the physical servers that your data is stored on it is important to do everything possible to protect it. CCSP certification recognises this, developed by (ISC)2 and Cloud Security Alliance, the course gives professionals a deep-seated knowledge and competency through hands on experience. Cisco’s first cybersecurity certification is designed for professional security analysts. Thecybersecurity specialist certification covers important areas of competency, including event monitoring, security event, alarm and traffic monitoring and incident response. With no prerequisites is it a course available to anyone who needs to be able to mitigate and avoid cyber-attacks in their day to day job, or anyone who wishes to move into a profession involving cyber security. ISACA’s Cybersecurity Nexus program is designed to be the most comprehensive and desirable certification on the market. The course does not rely solely on knowledge, but tests in a virtual ‘cyber lab’ environment in order to prove actual technical skill, ability and performance. CSX Practitioner – made up of three courses and gives a foundation of knowledge in ISACA’s five areas of cyber security; Identify, Detect, Protect, Respond and Recover. 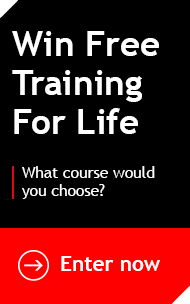 Firebrand offers an accelerated 9 day course which combines all 3 courses - 40% faster than traditional training. Some businesses may find certain qualifications more useful than others. If you’d like to find out more about which certification is right for you, you can read more on Firebrand's dedicated security section, or give us a call on 080 80 800 888.